You will receive a NO GYM NEEDED, 3 week full body workout program for each challenge. Volume 2,3 and 4 includes demonstration videos and Volume 5 includes follow along videos (on BrittneBabe.com only). 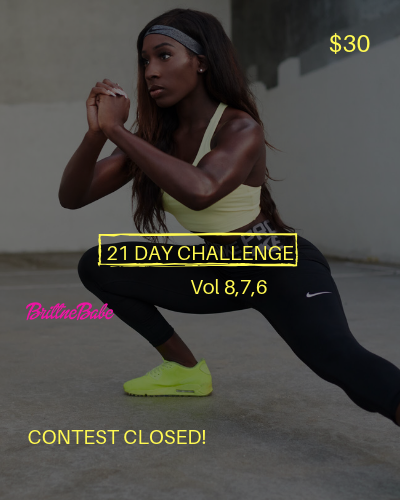 My 21 Day Challenge is designed to optimize your training for maximum results! Dumbbells ranging from 5-20 lbs are suggested and a mat.